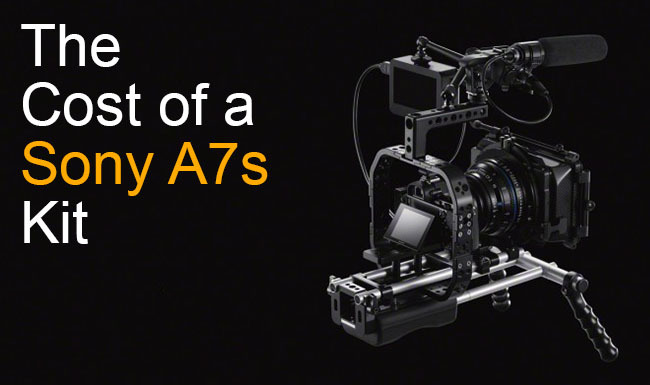 In Part Six we looked at audio and power for the Sony A7s. In this part, we’ll look at tripods, heads, rigs, accessories and then combine everything to learn how much a Sony A7s kit will cost. The problem with light cameras is that they don’t have the necessary weight tripods and heads ‘expect’ in order to provide maximum stability. 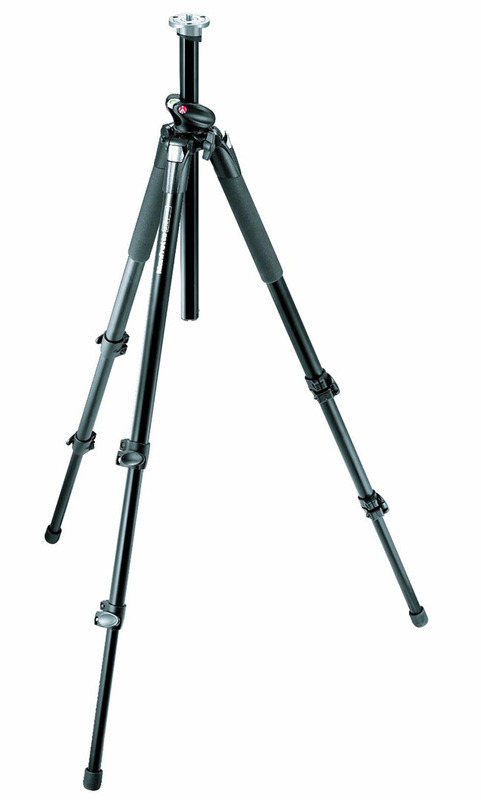 This is especially true for light carbon fiber tripods and heads, which work great for photography, but fail for motion. For one, once you start panning and tilting, any slight vibration introduced through technique or a less-than perfect fluid head will be magnified. Secondly, on uneven terrain, where the legs are not in the perfect pyramid position, any lateral forces (like wind, your feet kicking against the legs, etc.) will induce motion. These vibrations are very noticeable, especially with longer focal lengths. True, with careful technique you might hope to circumvent most of these issues, but my experience dictates otherwise. Therefore, one must find a tripod that is light enough to not negate the weight and size advantage of the Sony A7s, while also being sufficiently heavy to deliver the missing weight for stability. I would not go ‘lower’ than the following system. 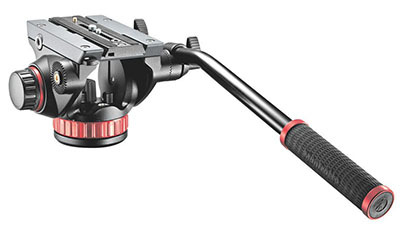 Another excellent solution for run-and-gun work are Manfrotto Monopods . You would use the same fluid head. If possible, and if weight is not a concern, I would upgrade to the Manfrotto 504HD head because I find it much more usable for professional heavy duty work. You can read my thoughts on rig ergonomics here. To learn how to design and balance a shoulder rig configuration, check this out. As far as an overall rig is concerned, the Sony A7s is almost a non-factor, weight and size-wise. A lens, the Atomos Shogun, and even the audio recorder will all probably weigh more than the A7s. As shown in the first image on this page, it would be a wise move to position the camera body as close to the shoulder support as possible. I would also position the audio recorder and any battery supply to the back to counterbalance it. Otherwise you’re asking for a world of pain. I do not recommend front-heavy shoulder rigs. I usually don’t recommend cages but for the Sony A7s it might be a good option, since there are zero mounting points (excluding the tripod mount, that is). A cage would also protect the tiltable LCD screen that might just break off – and it’s a critical and possibly expensive part of your camera. *Care should be taken in selecting a base plate that provides easy access to the battery compartment and does not interfere with the lens mount or any lenses. It’s too early to recommend any specific gear since the camera has just started shipping. However, in a few months I’m sure we’ll see a lot more options. Because not everyone needs rigs or tripods, I’m going to keep those separate. The same applies to lenses. You could go as high or as low as possible with lenses. Many might spend entire lives with just a Canon 24-105mm f/4 L IS which retails for about $750 or less or a Nikon AF-S NIKKOR 24-120mm f/4G ED VR ($1,300). For the sake of this article, I’ll assume the spending on lenses is about $1,000. Secondly, many will be using existing lenses along with adapters. You could get cheaper adapters though not all of them will be perfectly machined. Let’s assume you spend about $100 for cheap and completely ‘dumb’ adapters with no electronic controls. One thing you will need is an ND filter, if only a variable ND like the Heliopan 72mm Variable ND Filter which retails for about $384. Other rigging gear like matte boxes, handles, etc. This kit will get you through a full day of shooting without having to charge your batteries. You’ll need at least three drives, which will give you 18 minutes of 4K Prores HQ footage each. The SDHC cards are for internal 1080p recording and photography. It goes without saying that for data wrangling you’ll need a laptop and a fast drive for backups. Your mileage may vary, though it is safe to assume that you’ll be looking to spend anywhere between $5,000 to $10,000 to get going. It really would be foolish expecting to get into 4K for just $2,495. Kit cost aside, you still have to deal with the costs of 4K post production (more later) in addition to onset data wrangling headaches. I hope this small analysis will help you calculate your own expenses with regards to your Sony A7s kit. In Part Eight we’ll look at post production workflows.